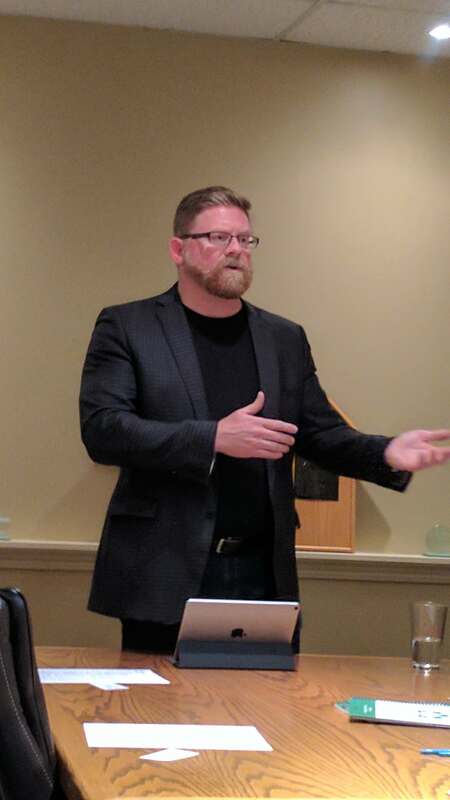 Business coaching consultant Rob Dale recently made a presentation to the Greater Ottawa Home Builders’ Association resonators’ council touching on the fundamentals of business success. His argument: Every business has a culture, and that culture is largely defined by its employees and how they behave/interact. Underlying the culture are the business’s values, generally reflecting the owners’ for small and medium-size businesses. These may be values you want, but cannot 100 per cent say you have achieved. A good example is “integrity” — Certainly I’d like to say I have solid integrity, but know there are many places where I’m lacking. These are the basics you need in any business situation “If you don’t have them in business, you don’t even begin to play the game,” he says. These just happen to be part of the way things are in your business; they can be good or bad, but they certainly aren’t planned. These could be employees taking off early, or talking behind each other’s backs. Dale argues you should get your values right — and this goes beyond the typical mission statement where you spend some time brainstorming your story, but when the meeting has concluded, no one can remember its substance. Core values should be so strong that your employees can clearly recognize and recite them and know almost instinctively what to do. Ahh, so what does all of this have to do with your marketing? I’ve constantly believed that great marketing starts on the inside of your business, and spreads outwards. In the simplest example, if you do great work, and really deliver everything you promise (and more) to the extent that your clients enthusiastically return for more or, without prompting, refer their friends and colleagues, you clearly have a strong brand (reputation). Client acquisition costs will be truly low and marketing stress will be minimal. In fact, if you are a very small business, you probably will need to spend virtually nothing on third-party marketing. As you grow, of course, you will need to allocate a budget to the marketing/outreach process. However, when that time comes, your story will be relatively simple to share and your marketing cost-effectiveness will be truly impressive. This leads to what may seem to be a surprising and (for someone who focuses on marketing/consulting) counterintuitive concept: Focus on your company’s values, story, and culture — get the “permission to play” values sorted out properly, and figure out your core values first. Then, after you have your house in order, you can think about your external marketing. You’ll know your brand and your message will be relatively easy to share. Previous articleMichael Stone and the phone: His advice — Answer it properly. I can’t say I do. Next articleIf you have an opportunity to make a sales presentation, what should you say? So how much is effective marketing (building a great brand) worth?